Atlantic FX Broker also known by the name AFX Inc. was established in the year 2009 and has been into online trading since then. They have their office in Panama and are regulated by the Bulgarian National bank. Being backed by a nationalized bank makes it very reliable and traders feel secured. They have many facilities for the traders which include lots of bonus offers, free education, MAM accounts, segregated accounts and managed accounts. They also offer to their client’s personal manager to help them manage their accounts well. The traders can also place their orders through telephone. They also offer Islamic accounts for Muslim traders who follow Islamic laws on trading. They accept payments through credit/debit cards, WebMoney, MoneyBookers and wire transfer. The same mode can also be used for the withdrawal of the money. The allow you to have Euro and United states Dollar as the account currencies. Their website is available in 9 languages which help the native speakers but their customer support service is available only in Hungarian, English and German. The demo account is also available to the customers free of cost and the trading platform there is Meta Trader 4. The real account has Meta Trader 4and ActTrader as the trading platform. Meta Trader 4 is a well-known trading platform in the forex market and is the most reliable for successful trading. They offer ECN account to their customers and the minimum deposit required to open an account with them is $1000. They offer large number of trading instruments other than forex for the traders to trade in and it includes, stocks, indices, Gold & Silver, Futures, metal, bonds, oil, CFDs and Agriculture. The maximum leverage is on Agriculture which is 1:300 whereas for forex it is 1:200. They allow scalping and the use of Expert Advisor. The reviews have become the best medium to voice your satisfaction as well as concern with a particular company. It is also the best way to know about a company’s performance and service. 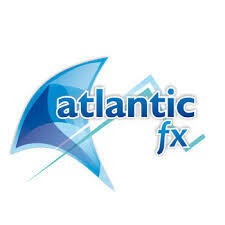 The reviews about Atlantic FX broker is very positive and is liked by many. The best feature about the company that is mentioned in the reviews is its large number of trading instruments. It gives them the option of trading in instruments other than forex. They being regulated by Bulgarian National bank is also liked by many users. Their customer support service is friendly, supportive and is well-trained to resolve any trading issues. The service is available in the form of Call Back, Email, Live Chat, Web Form and even Skype. The service however, is available only in 3 languages that is Hungarian, German and English. They allow scalping is also loved by many traders. The use of Expert Advisor is allowed which makes trading easy for the users. Some of the cons mentioned in the reviews is that they allow only Euros and US dollar as the account currencies and that the number of currency pairs can be increased. The average rating given to the company by its users is 5.3 out of 10.